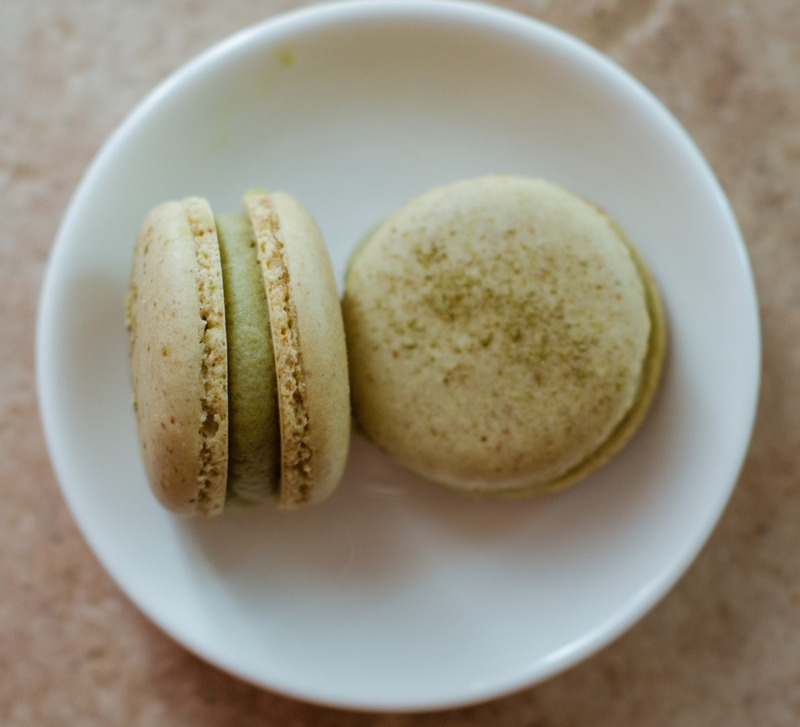 We delight in all things Green at VERTE MAGAZINE and these lovely cookies are our favorite tea time delight.. 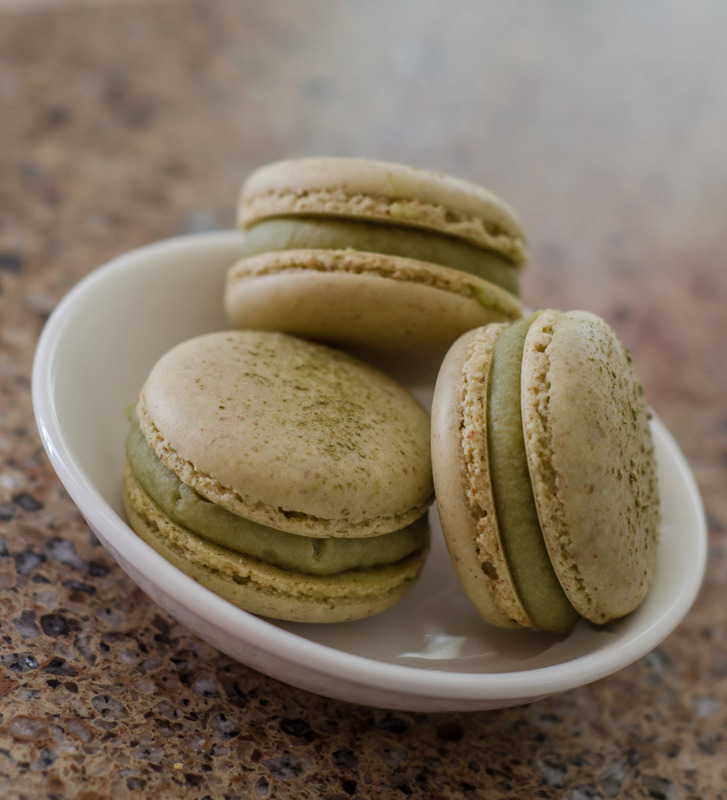 I love green tea, and I love macarons. It was a no-brainer putting the two together. Generally, I prefer flavors that help cut the inherent sweetness in macarons. I like dark chocolate because of its slight bitterness and lemon because of its acidity. Green tea, like dark chocolate or coffee, provides that slight bitterness that cuts through the sweetness. I used a white chocolate ganache base, with an adzuki bean (otherwise just known as red beans) center filling. If you head over to some asian bakeries or grocery stores, you’ll often find that green tea and red beans are often paired with each other. That’s because they’re a match made in heaven. I tested this out with the macarons, and the concept absolutely holds true.